Lajos Zilahy (March 27, 1891 − Dec. 1, 1974) was a Hungarian novelist and playwright. Born in Nagyszalonta (called Salonta in Romania) in Transylvania, then part of the Kingdom of Hungary, a province in Austria-Hungary, he studied law at the University of Budapest before serving in the Austro-Hungarian army during the First World War, in which he was wounded on the Eastern Front - an experience which later informed his bestselling novel Two Prisoners (Két fogoly). He was also active in film. His 1928 novel Something Is Drifting on the Water (Valamit visz a víz) was filmed twice. His play The General was filmed as The Virtuous Sin in 1930. Edited Híd (The Bridge) 1940-1944, an art periodical. Opposed both fascism and communism. In 1939 he established a film studio named Pegazus, which operated until the end of 1943. Pegazus produced motion pictures and Zilahy directed some of them. In 1944, his play Fatornyok (Wooden Towers) was banned. Gave all assets to government treasury in early 1940s for use in educating youth in world peace, which led to the establishment of Kitűnőek Iskolája. 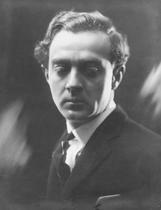 He wrote the 1943 screenplay himself and co-directed it with Gusztáv Oláh in Hungary under the international English title Something Is in the Water. The Czechoslovakian screenplay was written by Imre Gyöngyössy, Ján Kadár and Elmar Klos, and directed by the latter two with a Slovak, Hungarian, and Czech cast on location at the Danube in Slovakia under the title Desire Called Anada in Czech (Touha zvaná Anada, 1969) and Slovak (Túžba zvaná Anada), with Adrift as its English title. Lajos Zilahy became the Secretary General of Hungarian PEN but his liberal views placed him at odds, first with the right-wing Horthy regime and later with the post-war Communist government. Zilahy left Hungary in 1947, spending the rest of his life in exile in the USA, where he completed A Dukay család, a trilogy of novels (Century in Scarlet, The Dukays, The Angry Angel) chronicling the history of a fictitious Hungarian aristocratic family from the Napoleonic era to the middle of the twentieth century. He died in Novi Sad, Serbia, then part of Yugoslavia. Several of his novels have been translated into Bulgarian, Croatian, Czech, Danish, Dutch, English, Estonian, Finnish, French, German, Italian, Japanese, Polish, Rumanian, Serbian, Slovakian, Spanish (mainly), Swedish, and Turkish, and some of his plays into German, Italian, and Spanish.An edition of his short stories is available in Spanish and some of his short stories have been translated into Bulgarian, Croatian, English, Estonian, French, German, Italian, Polish, Portuguese, Slovakian, Spanish, and Swedish, and some of his poems into German.